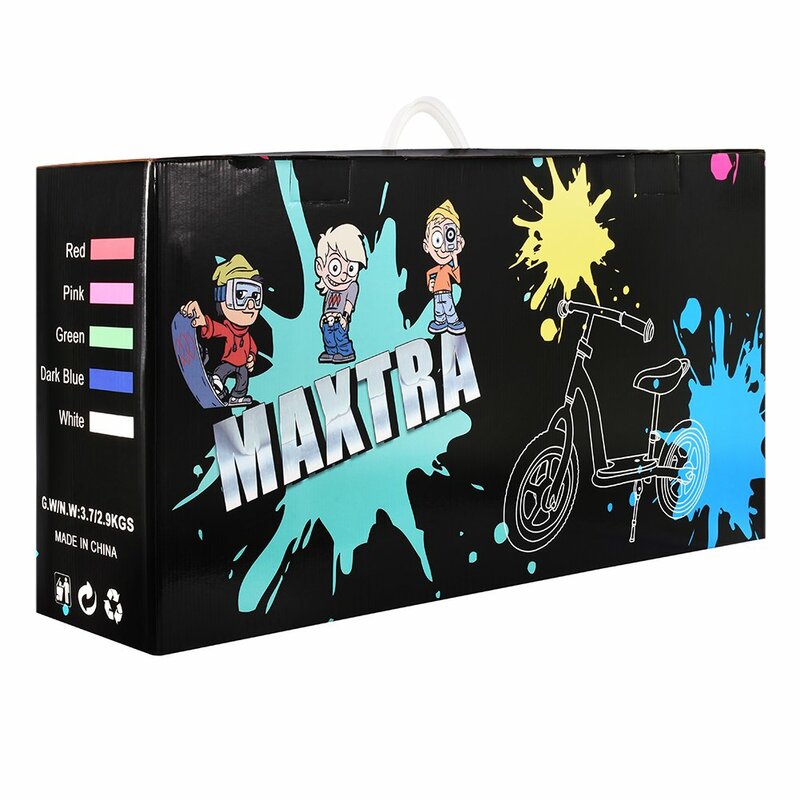 STURDY PACKING & STYLISH DESIGN:Two boxes packing, sturdy outer box and stylish inner gift box, will give your kids a surprise. 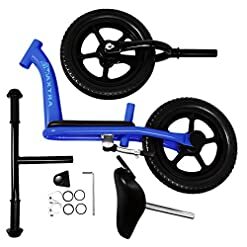 No shipping damage or missing parts, smile face instead of sad face. 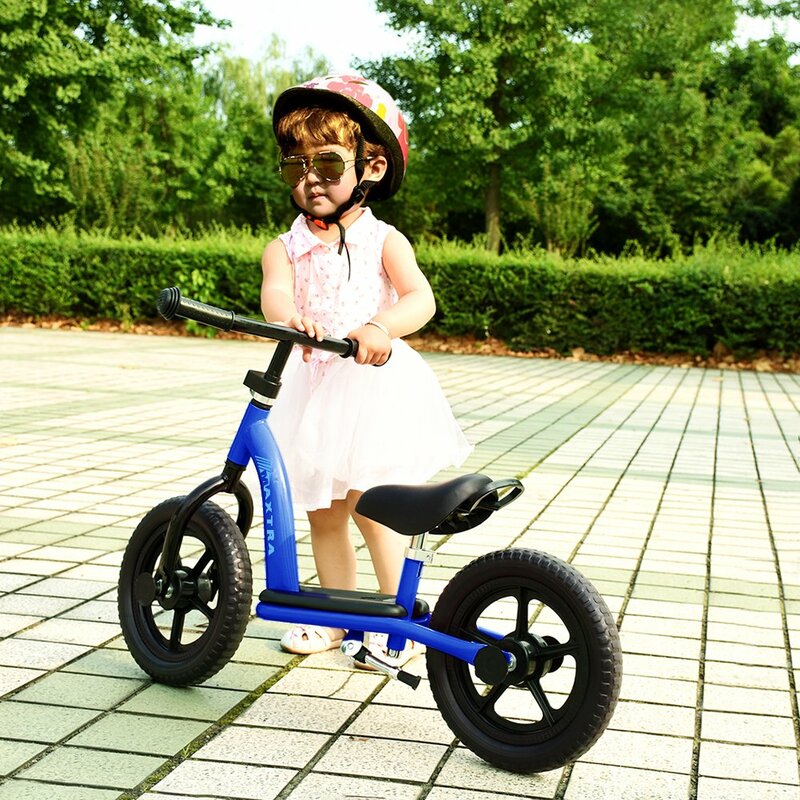 INSPIRE MOBILITY & FREEDOM:We believe, if you can walk, you can ride. Our bikes are designed to focus on a simple goal: learning and improving balance. Through this approach, your child will also learn coordination and confidence. 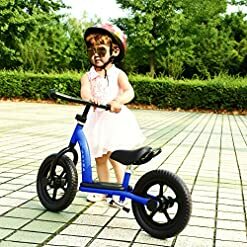 We have found it to be the best way to learn to ride. 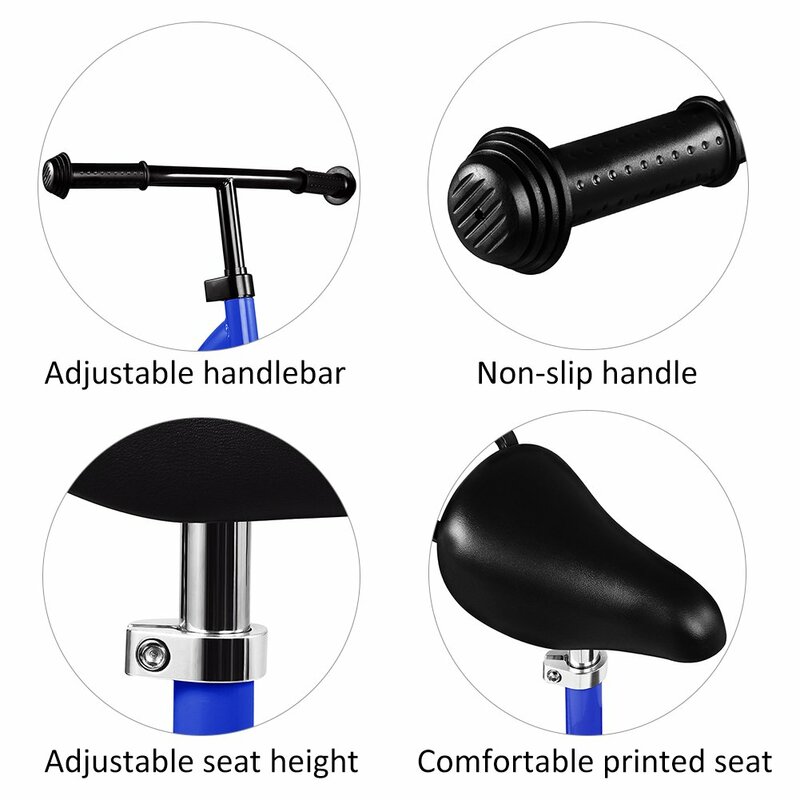 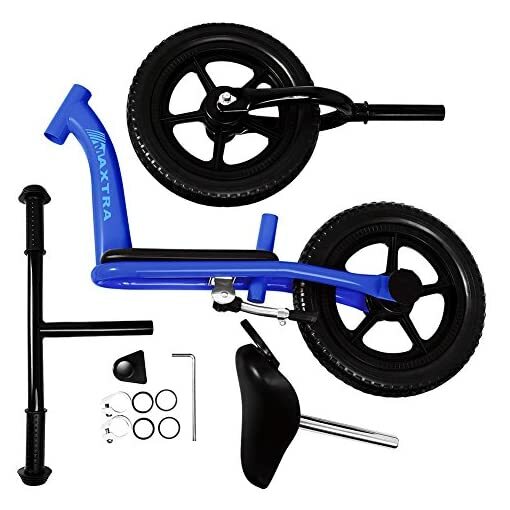 SIMPLE DESIGN & LIGHT WEIGHT:Our simple design focus on providing a safe, easy, and natural transition towards a pedal bike.In cycling, lightweight equals performance & safety, Maxtra delivers effortless control & builds confidence in the smallest riders, no matter what terrain they choose to ride. 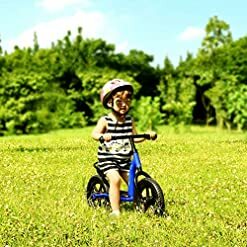 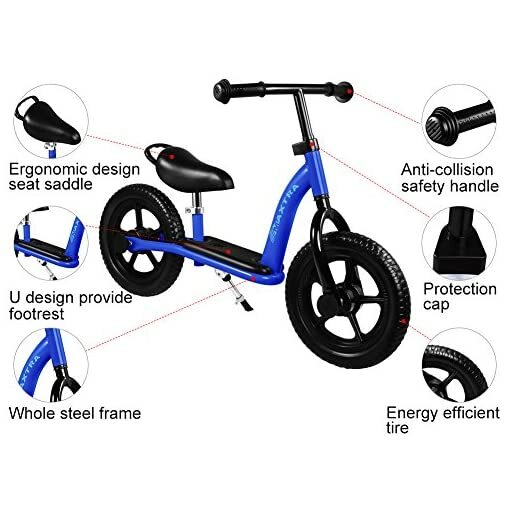 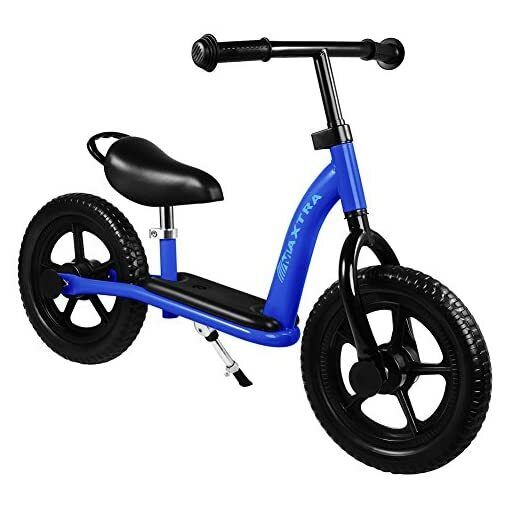 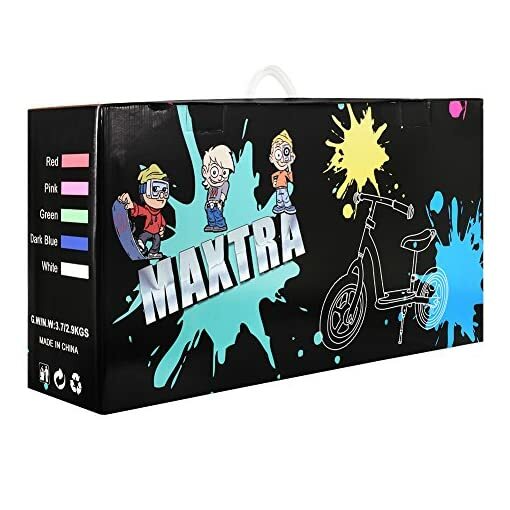 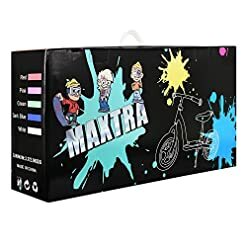 Ensure that this balance bike is only used in suitable play areas and never near stairs, on steep ground or near swimming pools or other bodies of water. By the way,we advise you to use a helmet for kid’s noggin when he/she is riding the bike. 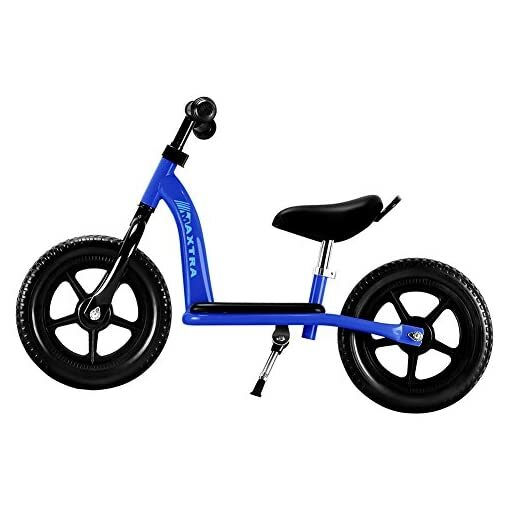 12″ EVA tires roll smoothly on even surfaces,designed for a quiet ride and long lasting durability. EASY STEERING & GAIN CONFIDENCE :Easy Steering cultivates confidence in children learning balance .Improves balance and coordination at crucial developmental stages, enabling a Seamless development towards a pedal bike. ENERGY-EFFICIENT TIRE & BIKE:Maintenance-free, Worry-Free, Minimal assembly, air-free tires never go flat. 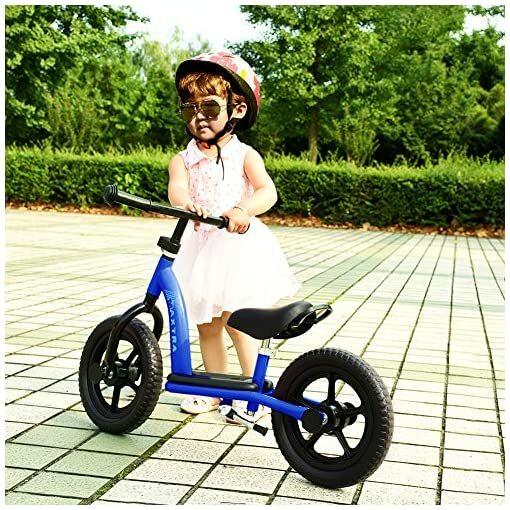 it fits children from 2 to 5 years old with adjustable seat and handlebars.